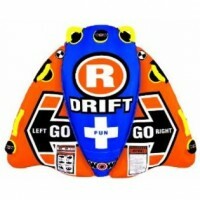 Steerable 1 Rider – Carve turns with a tube? 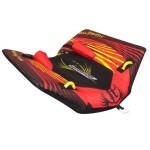 Water towables and water tubes from Boat Sports Canada are your best bet for a fun filled summer at the lake. 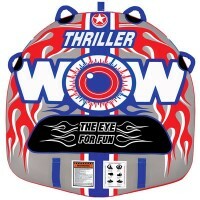 From our Huge Selection of single rider to our multi rider tubes, we have the hottest selection of new exciting tubes. 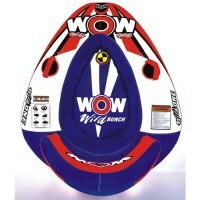 Have a Look at WOW XO Extreme or our WOW Dragoon Boat for a new take on some favorite style boat tubes. 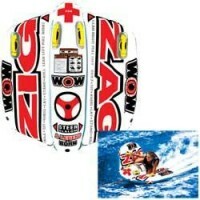 We have a huge selection of water towables 1 rider , 2 rider , 3 rider and Multi rider tubes . 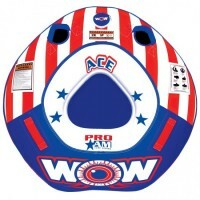 There’s no reason to use the same old boring boat tubes when there are so many new great water towable that steer, have great graphics and make your summer boating way more fun for you and the kids. 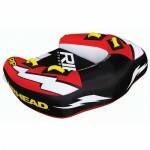 We carry tubes from the best manufactures like Airhead, World of Water Sports, Aquaglide, Full Throttle and Rave Sports. 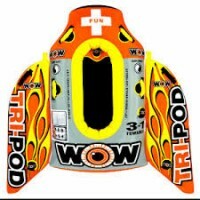 We also carry all the accessories you will need to get going right away , we also have a large selection of ropes for wake boarding, tubing or surfing. 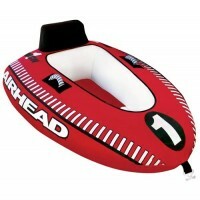 No matter what your preference for a Boat tube is we have a choice for you. 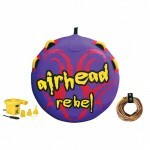 Some of our best sellers are WOW Bubba series and our Airhead Viper series. 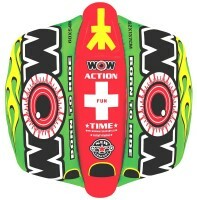 Hold on for a wild ride with all of our action water towables, see our multi rider section. 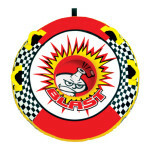 Boat Sports Canada is a proud Canadian company that promises to provide you great prices and friendly service. Customer service is a priority to us …call us if you have questions.